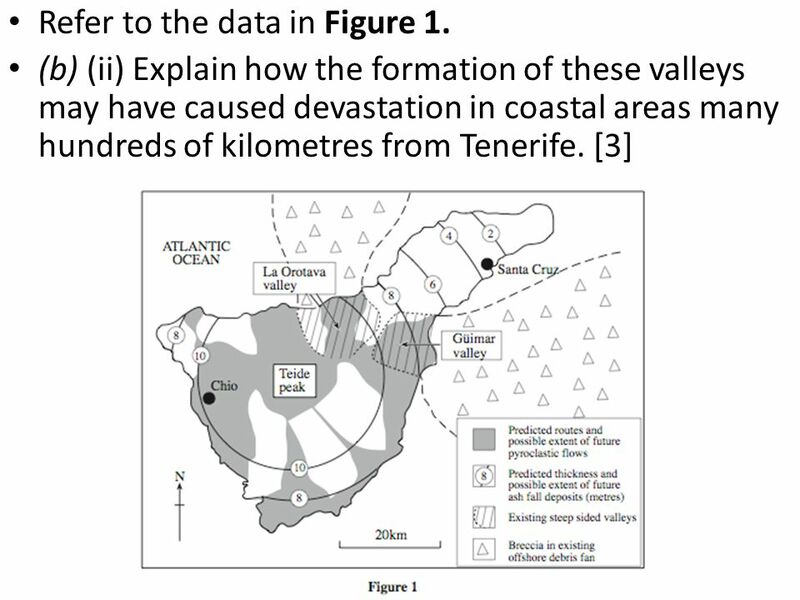 GL3 2007 Jan Q1 Volcanic Hazards Teide. 1. 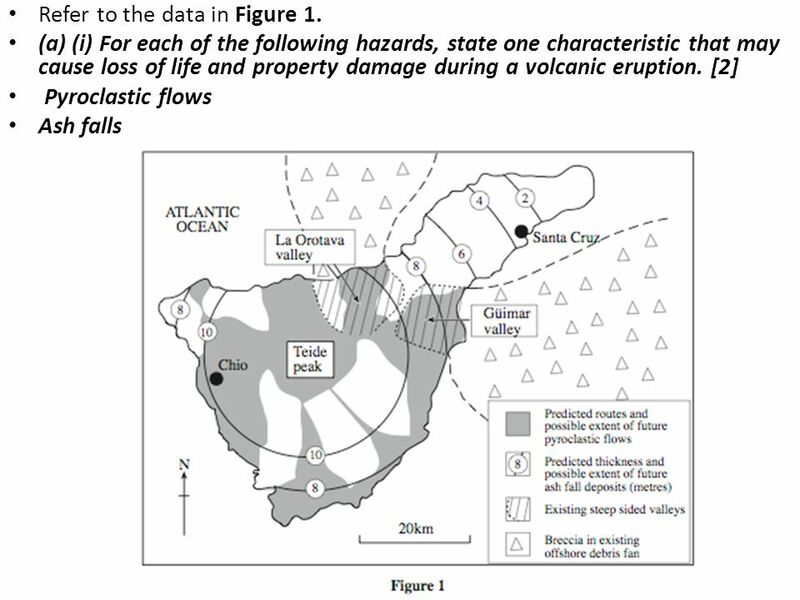 Figure 1 is a map showing past and potential volcanic hazards for the island of Tenerife. 2 1. 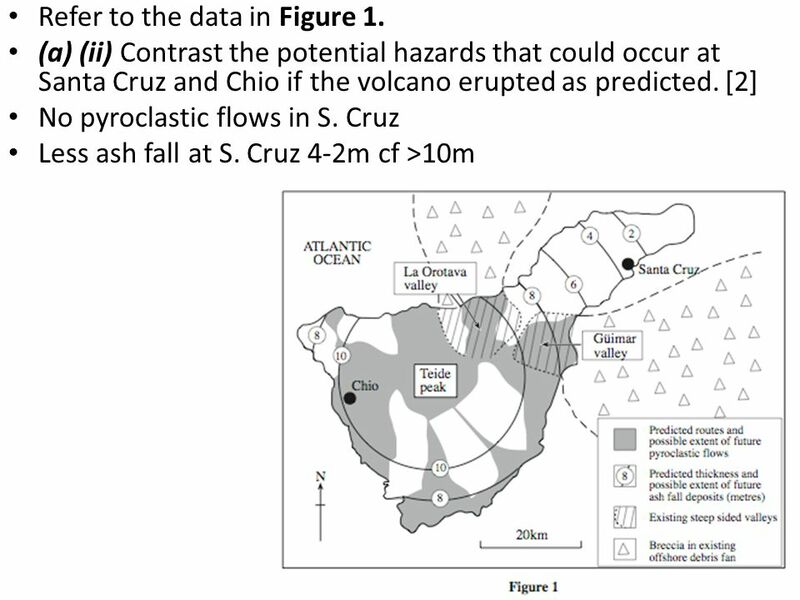 Figure 1 is a map showing past and potential volcanic hazards for the island of Tenerife. 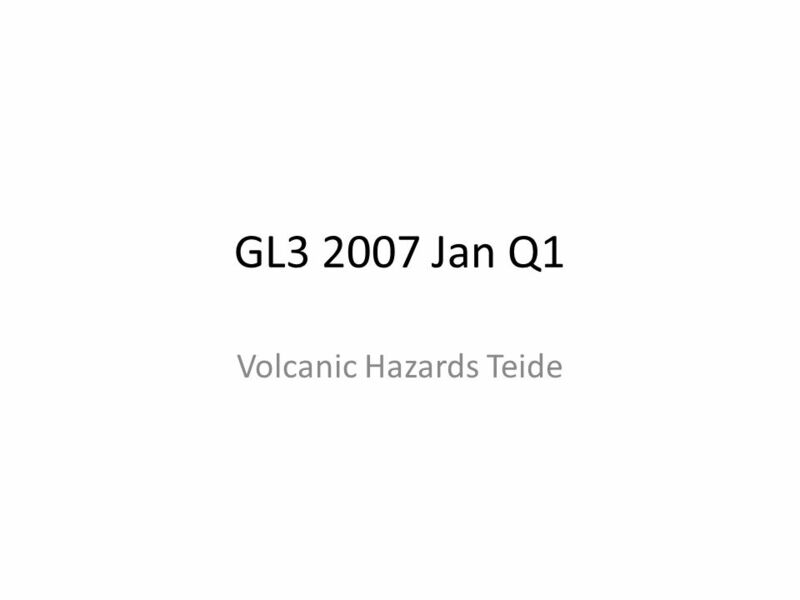 Download ppt "GL3 2007 Jan Q1 Volcanic Hazards Teide. 1. 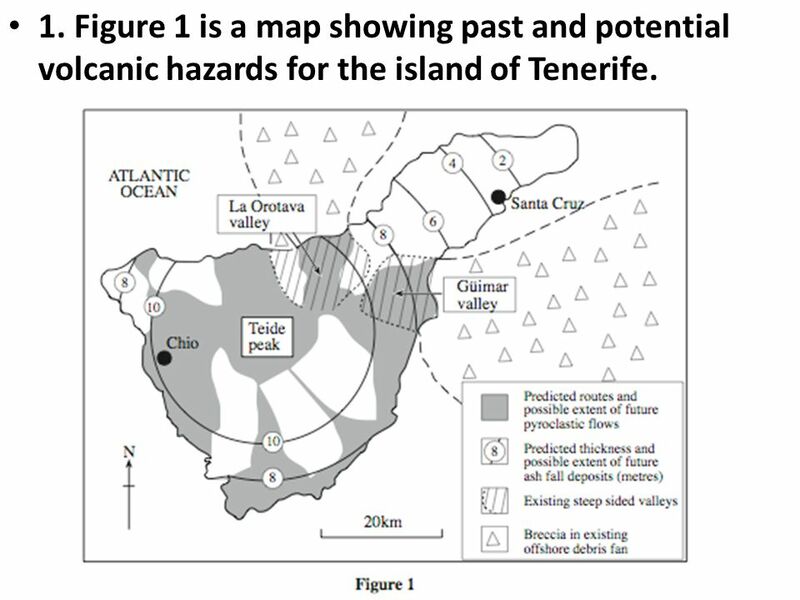 Figure 1 is a map showing past and potential volcanic hazards for the island of Tenerife." 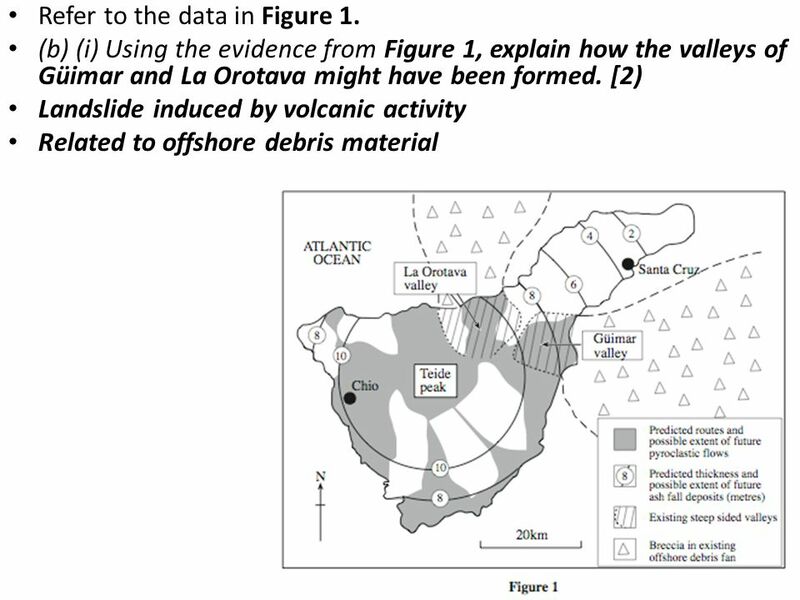 Lesson 26 – pages  To learn the primary hazards of volcanoes.  To learn the secondary hazards of volcanoes.  To learn benefits of volcanoes. A Volcano Is... A vent through which molten rock escapes to the Earth’s surface. Volcanoes. Key Terms MagmaLahar VolcanismPyroclastic flow Lava Volcano Hot spot Mafic Felsic Pyroclastic material Caldera MagmaLahar VolcanismPyroclastic. Notebook Lesson on Volcanoes Eric Angat Teacher. Essential Question How are we affected by Volcanic eruptions? 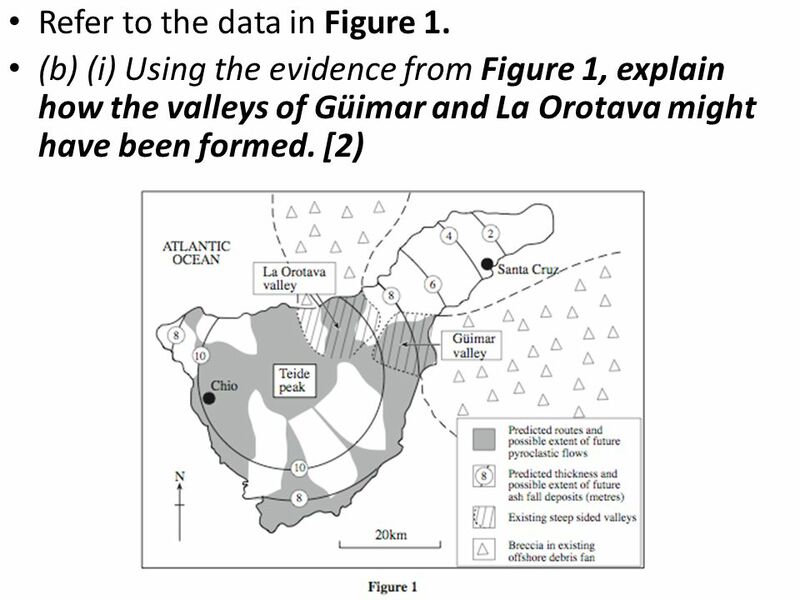 Volcanism and Its Landforms. 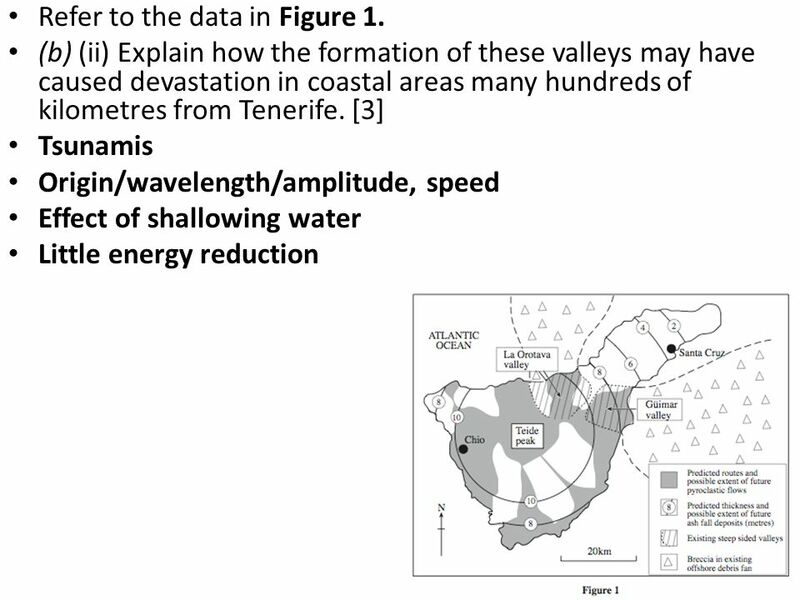 Objectives Describe the distribution of volcanic activity and explain its relationship with plate boundaries Explain how. 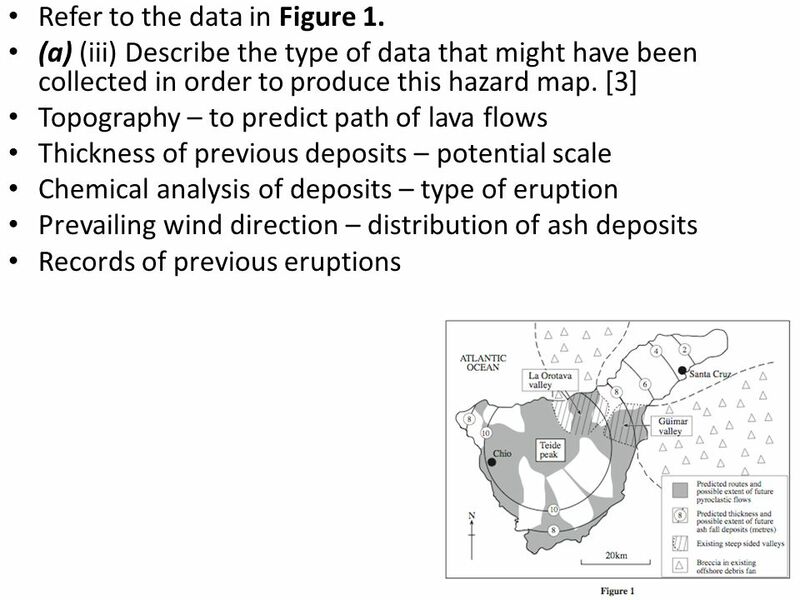 Volcanic Hazards in the U.S.. Outline Cascades –Mt. St. Helens –Mt. Rainier –Crater Lake –Mt. Shasta –Lassen Other eruptions –Yellowstone –Long Valley. Fall 2008 Version Professor Dan C. Jones FINA 4355. Lesson 30 – page 27. 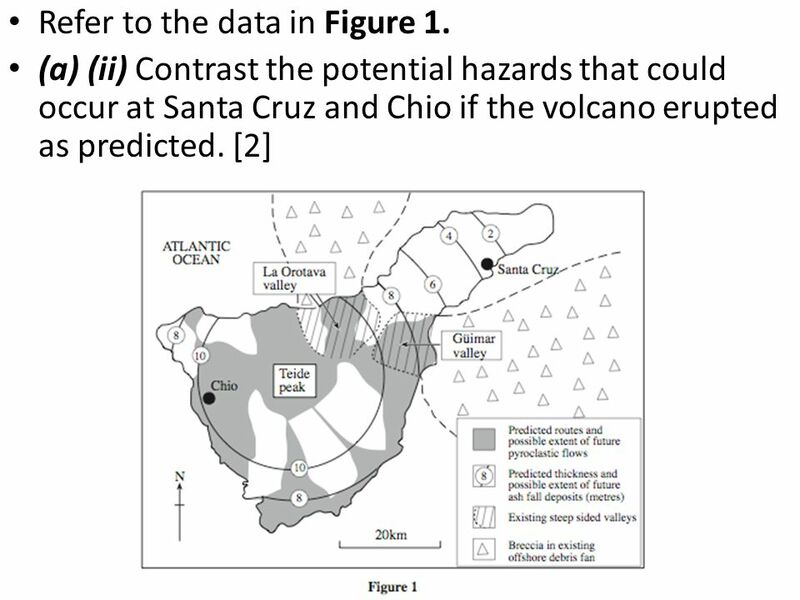  To learn ways in which earthquakes and volcanoes can be predicted.  To learn how dangers can be prevented.  To learn about responses. Divergent boundaries = plates diverge (move apart) convergent boundaries = plates converge (come together) transform boundaries = plates slide past each. 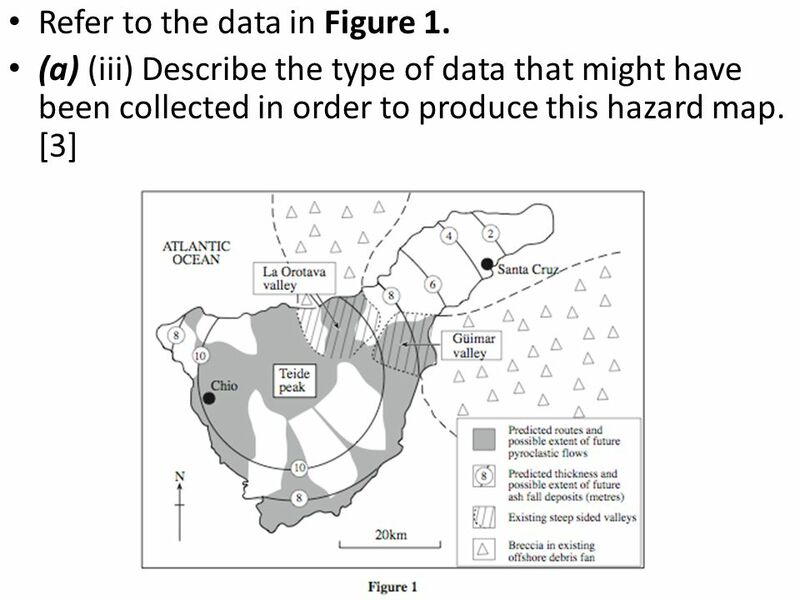 Volcanic Hazards. Limiting Danger from Hazards WarningWarning –Know when event is happening EducationEducation –Know what to do when an event happens. California’s Natural Hazards Chapter 13A, Section 3. 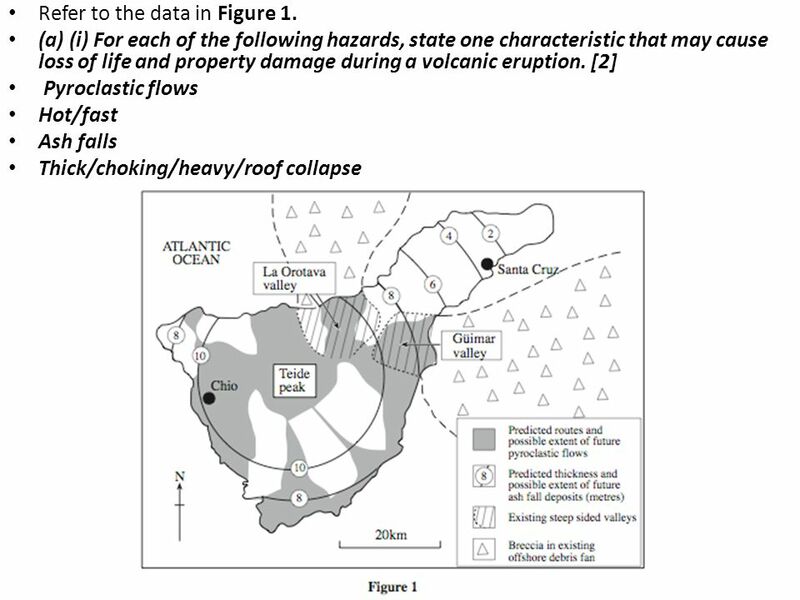 DISASTER EMERGENCY RESPONSE A FOCUS ON SEARCH AND RESCUE AFTER AN EXPLOSIVE VOLCANIC ERUPTION Walter Hays, Global Alliance for Disaster Reduction, University.